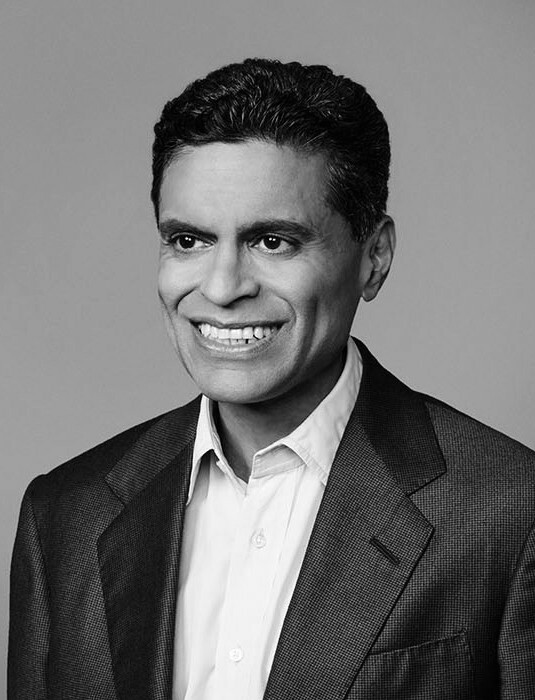 Dr. Fareed Zakaria is the host of CNN’s flagship international affairs program “Fareed Zakaria GPS,” contributing editor for The Atlantic, a columnist for The Washington Post and a New York Times bestselling author. He has been described as “the most influential foreign policy adviser of his generation” by Esquire magazine and was named in 2010 as one of the top 100 global thinkers by Foreign Policy. Fareed’s in-depth interviews with countless intellectuals, business leaders, politicians and journalists—including the Dalai Lama, Barack Obama, Manmohan Singh, King Abdullah II, Dmitry Medvedev, Moammar Gadhafi and Lula da Silva—have been broadcast in more than 200 million homes around the world. Previously, he spent ten years overseeing all of Newsweek’s editions abroad and eight years as managing editor of Foreign Affairs. Born in India, Fareed has a BA from Yale and a PhD from Harvard University. He has received honorary degrees from numerous universities including Brown, the University of Miami and Oberlin College. He lives in New York City.